Aerial photo of Anfeh. Photo by ‘Lebanon Untravelled’. Used with permission. 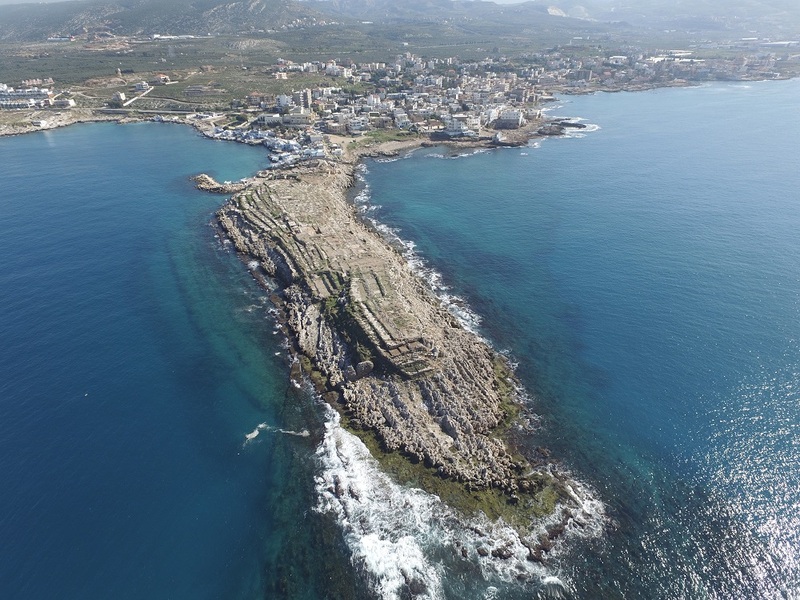 After Beirut's Ramlet el Bayda, Batroun's Kfarabida rocky beach and the ancient port of Adloun, the historic salt marshes of the northern town of Anfeh may become the latest casualty of Lebanon's long history of coastal privatization. On May 16, 2018, just ten days after the first national elections in nine years, the Higher Commission for Urban Planning opposed a proposed resort as part of so-called ‘Natour Development’ in Anfeh, citing the ecological, environmental, historical and cultural significance of the Deir El Natour Peninsula where the resort is to be constructed. But serious doubts remain as to whether the government will follow the Higher Commission's recommendations. There are already conflicting reports on the government's position. Roughly 70,000 square meters of publicly accessible coastal land could be made accessible to private developers for the resort, which would include hotels, chalets, bars and nightclubs, a golf club and a marina as part of a larger 81-hectar project. Owned and managed by Al Dair Holding, part of Malia Group, ‘Natour Development’ is a project by former members of parliament Mohammad Safadi and (now deceased) Maurice Fadel, as well as industrialist Jacques Sarraf. As Timour Azhari explained in the anglophone daily ‘The Daily Star’, the project was named after Deir al-Natour, a Greek Catholic monastery that lies on a headland surrounded by salt marshes and endemic vegetation. Jad Tabet, head of Lebanon's order of engineers, stated that the project would contravene the 2009 government-approved Comprehensive Plan for the Organization of Lebanese Territories, which noted the “unparalleled” biological and cultural significance of the Anfeh area and called for it to be preserved. We can still fight to stop the project. Exert pressure on the Orthodox Church that owns the land! Located along a 400-meter-long peninsula near the northern city of Tripoli, the archaeological site of Anfeh was an ancient coastal town, once used by Phoenicians as a shipyard. Anfeh reveals remains of at least 3,000 years of human occupation. Phoenician and Roman walls, wine presses, mosaic floors, and two seventh-century chapels have been found at the site. A Greenpeace report from 2010 suggested the inclusion of the Anfeh peninsula in a network of marine reserves in the coastal waters of Lebanon due to its important biodiversity. They proposed that human activities be limited to scientific monitoring, snorkeling and scuba diving. An endemic natural ecosystem still exists in that area, beside decades-old salt marshes, ancient ruins and cultural artifacts. Along with Gozo Island in Malta, Anfeh has the oldest salt pans in the Mediterranean. Calls for the protection of Anfeh's shore and its traditional salt-mining industry have been ongoing for decades. Before the 1970s, Anfeh supplied most of Lebanon’s salt. The Anfeh Municipality estimates that approximately 70 percent of local families made a living from salt. They built houses and sent their children to school on their earnings. But profit margins have dramatically decreased since the 1990s when the Lebanese government abolished taxes on imported salt and the cost of Lebanese salt became too expensive to compete. As Azhari reported, one environmental activist tried to do something about it. Hafez Jreij, an Anfeh environmental activist and former salt marsh worker, has been trying to preserve the practice since he caught wind of the Natour project in 1999. Along with a group of other academics and activists he called the “Salt Revolution,” Jreij said that he would file a lawsuit to prevent the project from breaking ground. 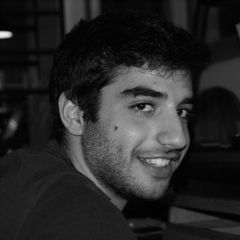 Many activists and environmental groups, including T.E.R.R.E Liban, Lebanon Eco Movement and Diaries of the Ocean, are urging the Lebanese government not to approve this project and safeguard the area and its cultural and environmental uniqueness. This is the last clean place where we can take our kids to swim… And the government has a historic decision to make in refusing to approve covering the salt flats with concrete in the name of development #SaveAnfehSaltFlats. The Beirut Heritage Community calls on all concerned, especially cabinet ministers, not to approve a tourist project above the historic #SaltFlats on the shore of Anfeh, which will be presented at the last session of the government scheduled for Monday. This project was rejected by the Higher Commission for Urban Planning and was objected to by all concerned entities. Some politicians even had their say about the government's latest decision, with member of parliament Walid Joumblatt questioning the motives of such a decision. Just like that, with the stroke of a pen in the council of ministers, the historic salt flats of Anfeh in North Lebanon are removed for a development project whose owners don't value history nor heritage. The same is happening in heritage buildings in Beirut and almost everywhere. It should be noted that Joumblatt's tweet assumes that the government has already accepted the project, which is not the case at the time of writing. Article 2 of Order 144, the law regulating coastal properties in Lebanon since 1925, stipulates that the seashore until the farthest area reached by the waves during winter as well as sand and rocky shores are considered public property. Despite that law however, decree changes and loopholes have allowed more and more development to happen on the Lebanese coast. Just 20 percent of the coast is free for people to access,” Tabet said – or 45 kilometers of Lebanon’s roughly 225-kilometer shoreline.